Welcome to Bookish Recipes, a feature on the blog where I cook or bake a recipe from a book I have loved and share the result with you. This week's recipe is inspired by The Altogether Unexpected Disappearance of Atticus Crafstman by Mamen Sánchez. 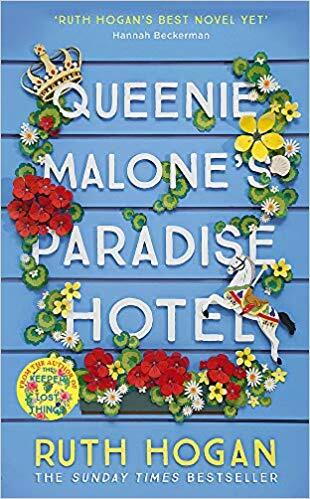 This crazy story takes place in Spain, mainly in Madrid and Andalusia so all the food mentioned in the story was very familiar to me. 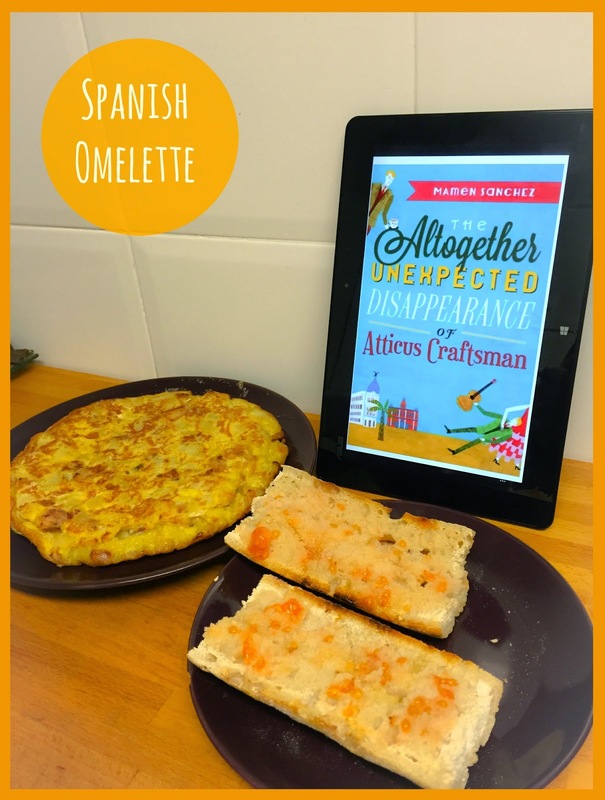 The Spanish Omelette has always been one of my favourite dishes since I was kid. 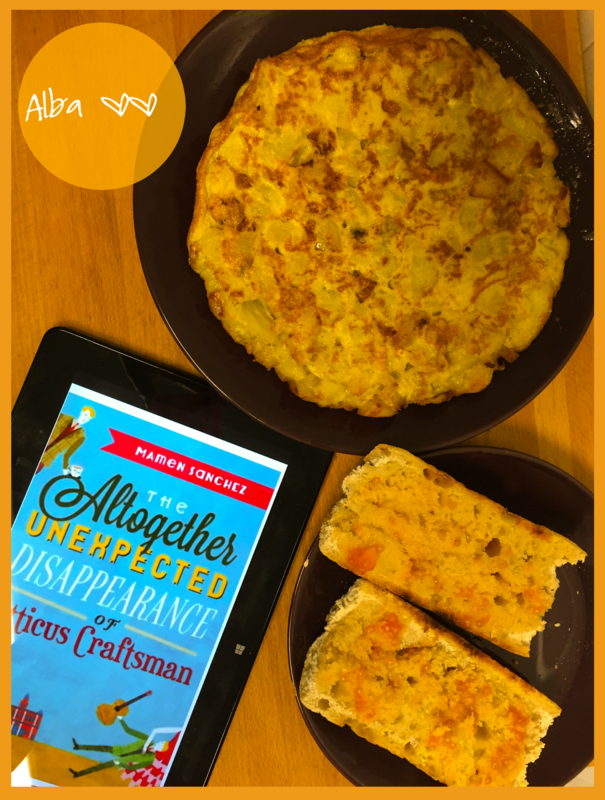 So when one of the girls on the book takes the very English Atticus to a tapas bar in Madrid and they have tortilla de patatas, I thought I'd share with you how to make this simple yet delicious dish! 1) Scrape the potatoes. Cut them into slices (I usually cut them quite thin). Chop the onion. 2) To fry, I usually use sunflower oil because olive oil is a bit strong for me but if you prefer it, then go for it. Heat the oil in a large frying pan, add the potatoes and onion and stew gently, partially covered, until the potatoes are softened. Strain the potatoes and onions through a colander into a large bowl (set the strained oil aside). 3) Meanwhile beat the eggs in a bowl. 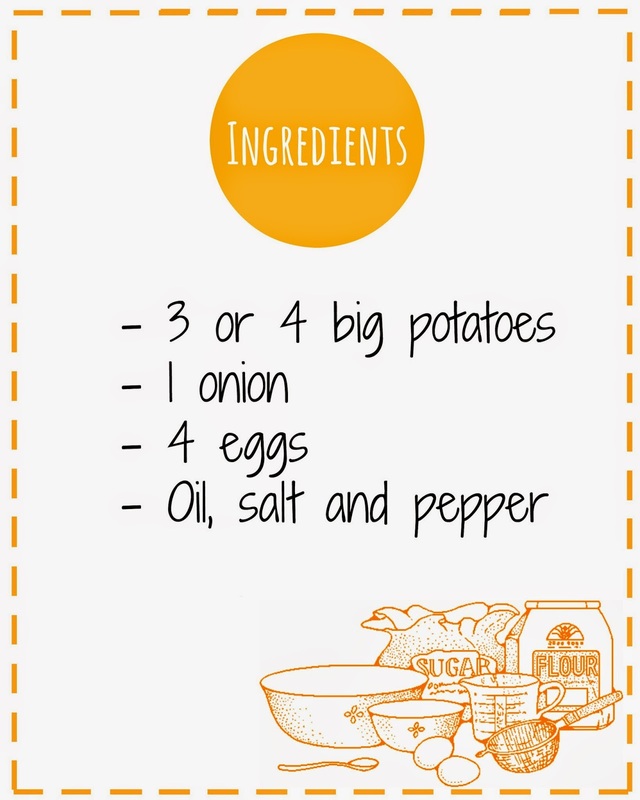 Take the potato and onion from the pan and mix it with the eggs. Add plenty of salt and pepper. Put a bit of oil in a smaller pan and tip everything into it and cook on a moderate heat, using a spatula to shape the omelette into a cushion. 4) When almost set, invert on a plate and slide back into the pan and cook a few more minutes. The tortilla is delicious both hot and cold so you can also leave it in the fridge for the following day. Oh man, this looks good (and the book sounds good too). I haven't heard of tomato bread either, but I'm definitely going to try it. Thank you! :) It's really easy so good to fix for a quick dinner or the following day! This recipe sound so delicious, I've got to have some! The book sounds good too, hope our library has a copy. I've never tried a Spanish Omelette. 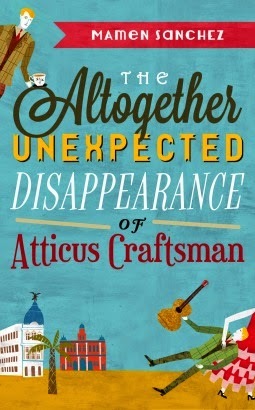 I did read and review The Unexpected Disappearance of Atticus Craftsman the other week though. And how did you find it? Heard lots of different opinions! Thanks for stopping by!